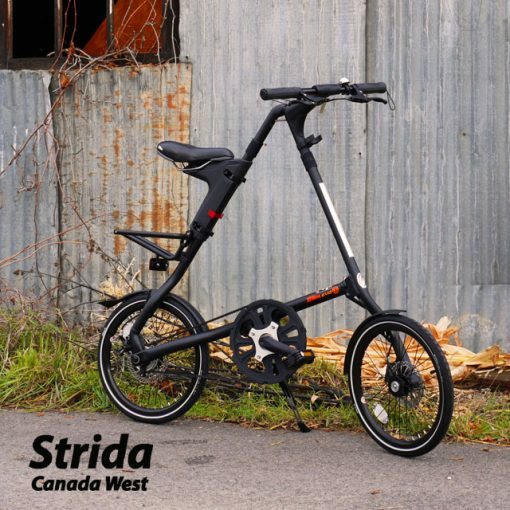 The Strida Matte Black EVO is all black. 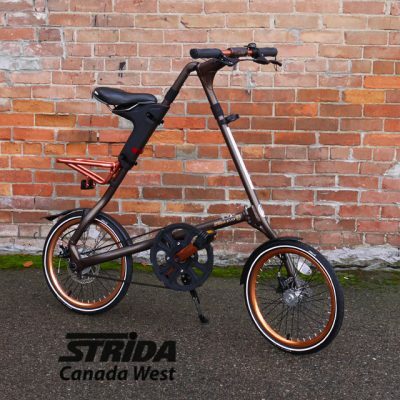 The handlebars are black and the 18 inch wheels have black rims, black wheel hubs and black spokes. 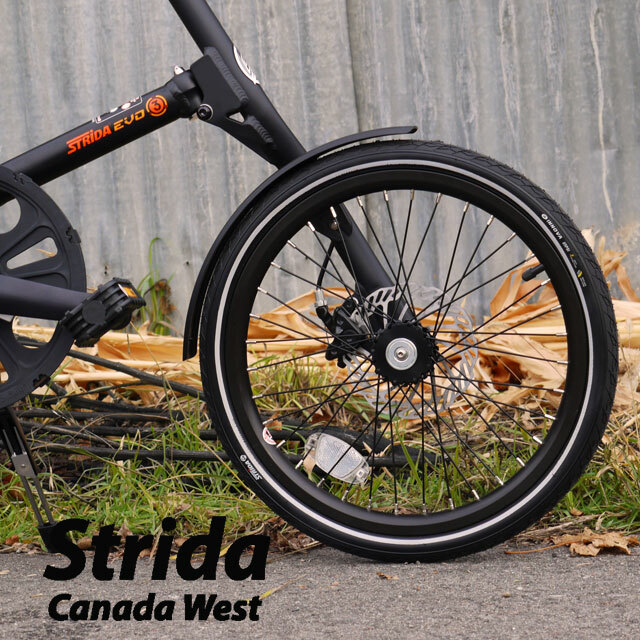 The brakes levers and the brake calipers are also black. 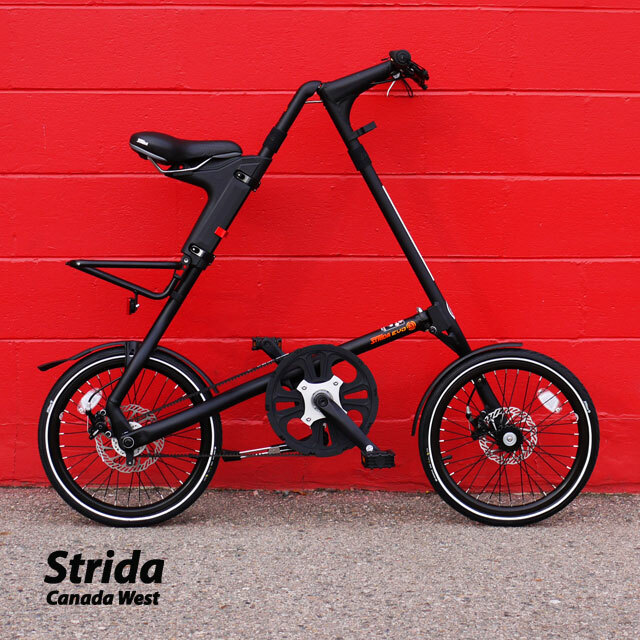 The Strida Matte Black EVO is also equipped with black crank arms and a black rear alloy rack. 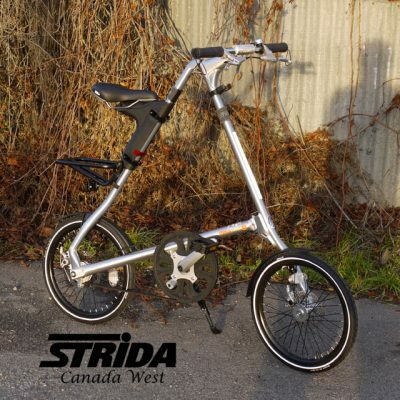 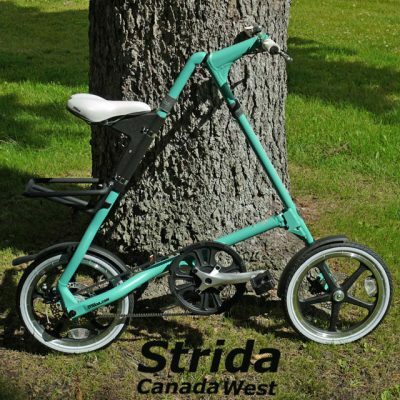 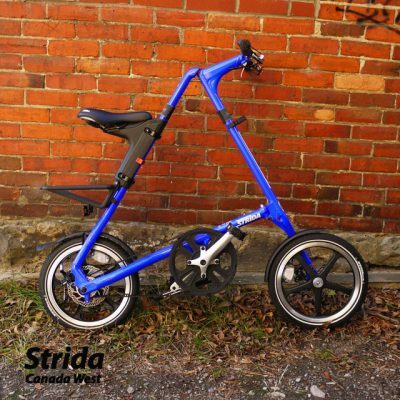 This EVO also comes standard with a Strida kickstand and the Strida Q/R seat mount. 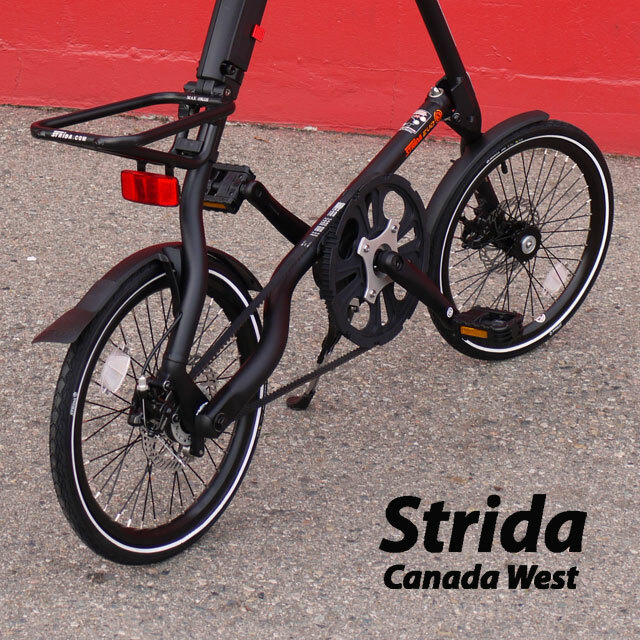 I think you get the idea this EVO is black, all black. 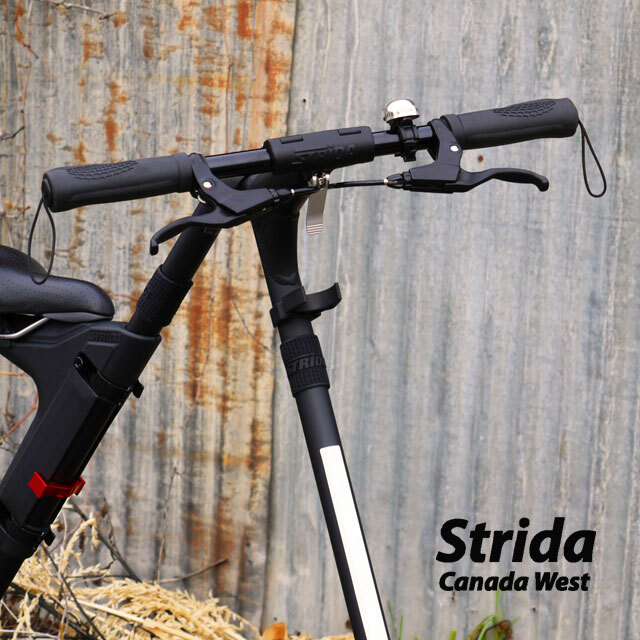 Add optionals like a Strida black leather spring saddle, a black leather Strida saddle bag, Strida black leather ergo grips, and you have a very nice, Strida Matte Black EVO. 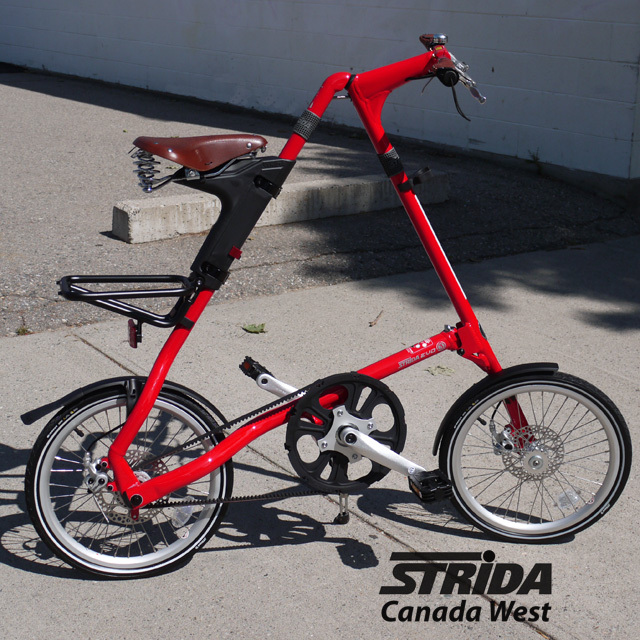 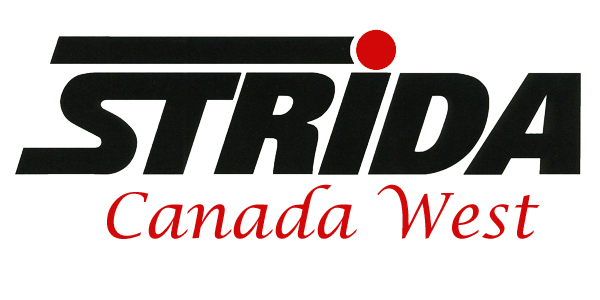 For a very special Strida Matte Black and Red EVO here is a suggestion, upgrade to a Red alloy belt wheel, Red brake calipers and then add Red frame protectors. 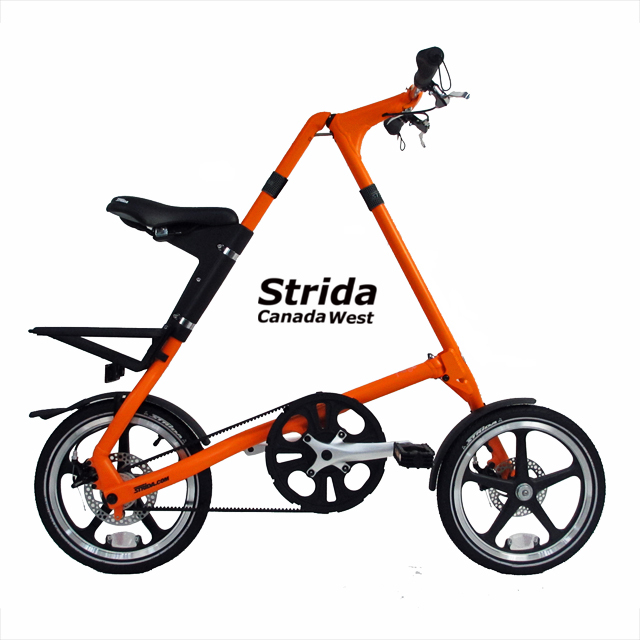 Please contact me for a price quote.